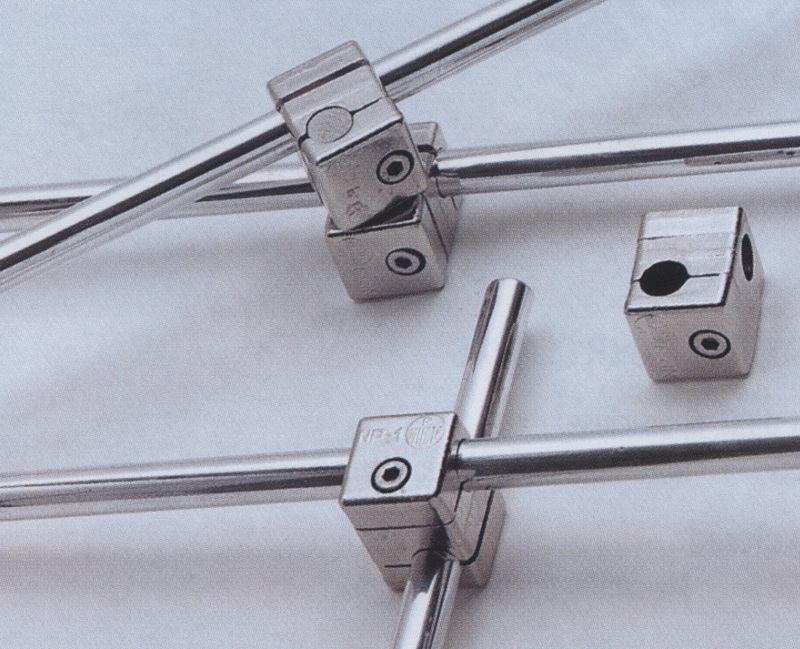 The Bosshead Clamps are made of light weight and exceptionally strong Dural Crom alloy and clamp tongs are made of AISI 304 stainless steel, unless otherwise specified. 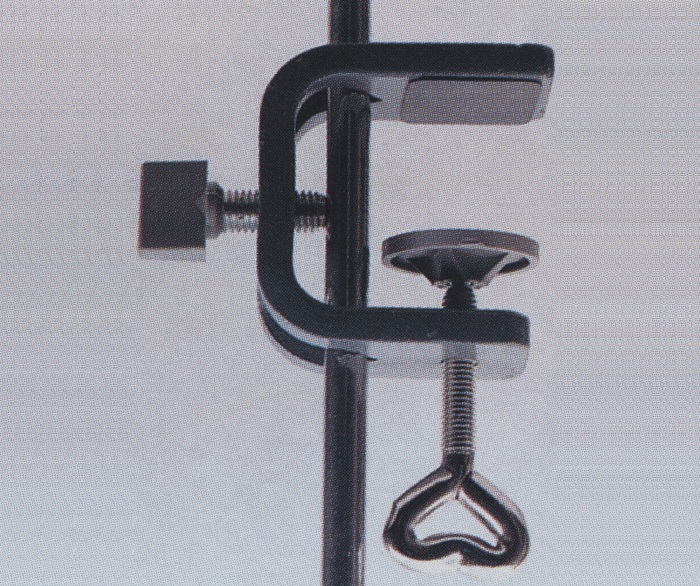 A wide selection of Bosshead Clamps to suit every laboratory need. 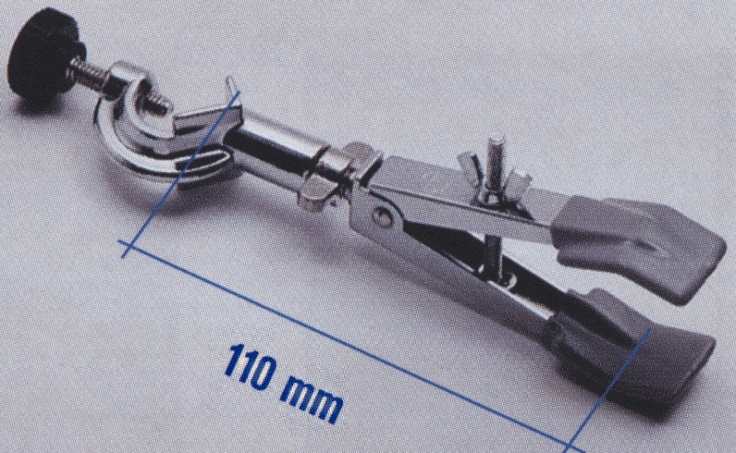 Information on other clamps as well as rods, tubes and stands available from Rose Scientific are elsewhere. 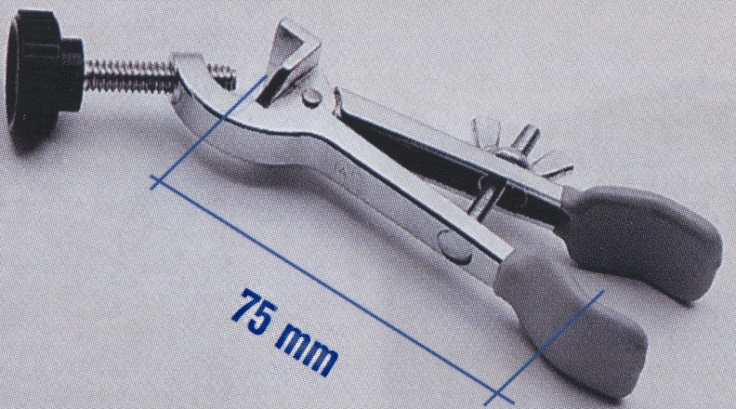 5900600 Bosshead Suntech clamp, for retort bars of diameters from 5 to 22 mm, with screw clamp joints. 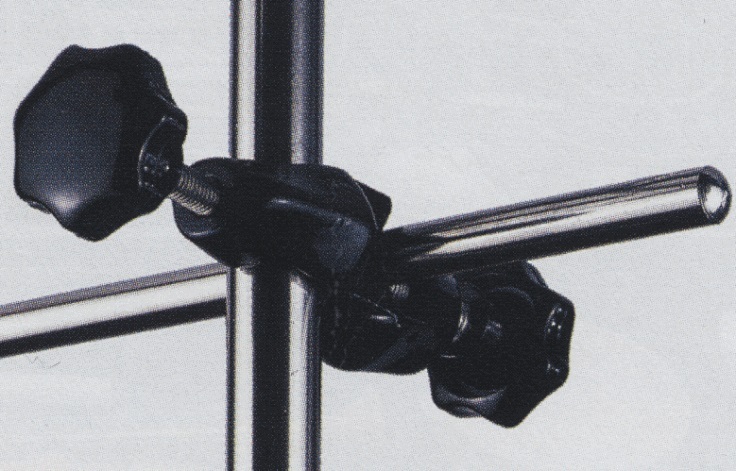 Ideal for supporting overhead stirrers. 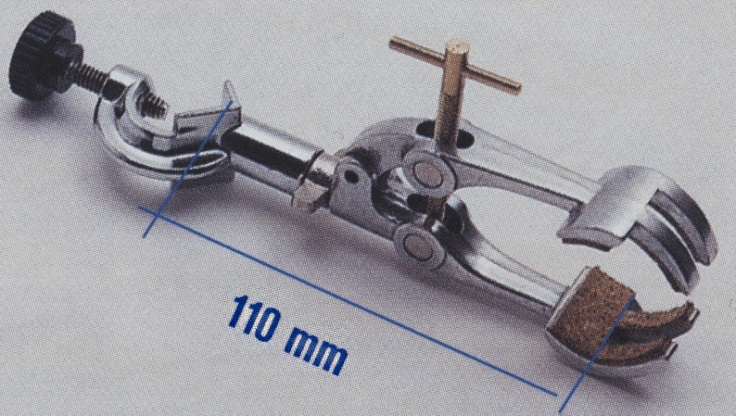 7204055 Bosshead Pass clamp, original Phywe, for joining and clamping multipurpose round or rectangular rods up to 12 mm across. For cross T and parallel arrangements. 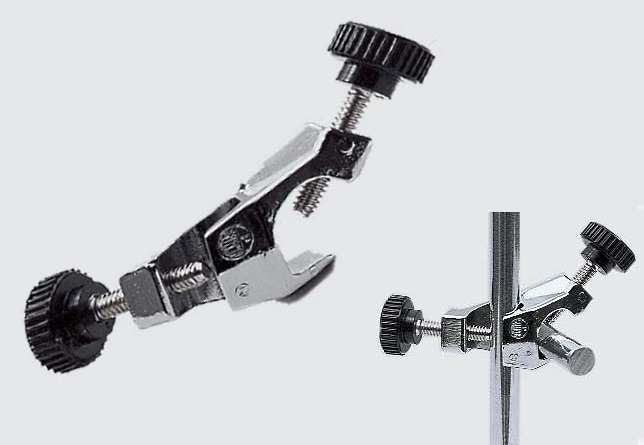 7000531 Bosshead Girofix clamp, chrome plated with swivel toothed clamp for holding rods at any angle, for rod diameters from 5 to 15 mm. Conforms to DIN standard 12895-E16. 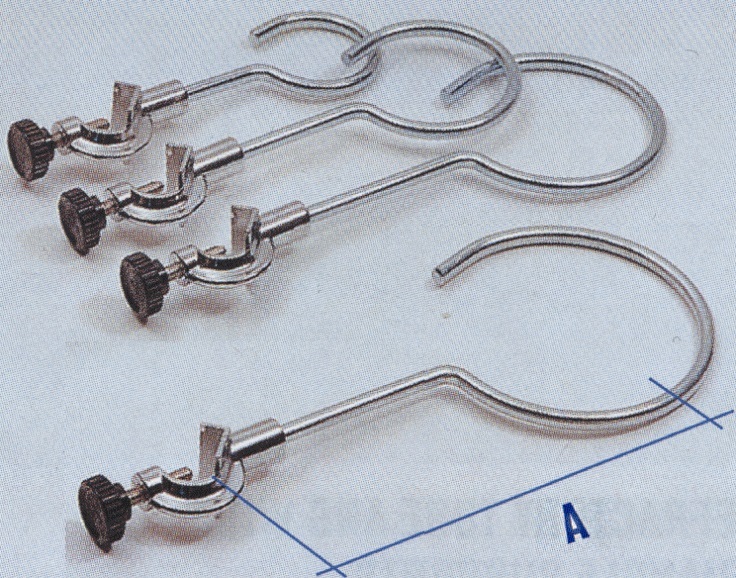 6000896 Bosshead for Thermometers clamp provides support for thermometers in water and oil baths with locking screw handling up to 40 mm thickness, for thermometer rod diameters up to 7 mm. 6000036 Bosshead clamp for Thermometers, swivel bosshead and press lock, made of AISI 304 stainless steel, for thermometer rod diameters from 6 to 15 mm, 90 mm length. 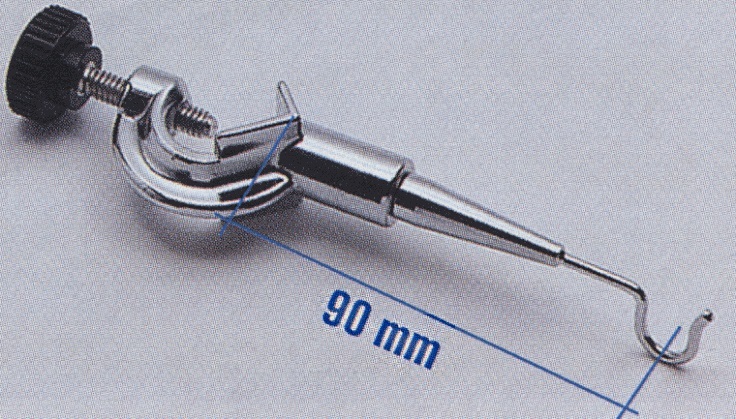 1000037 Bosshead clamp for Thermometers with hook end for a thermometer, chrome plated, 90 mm length. 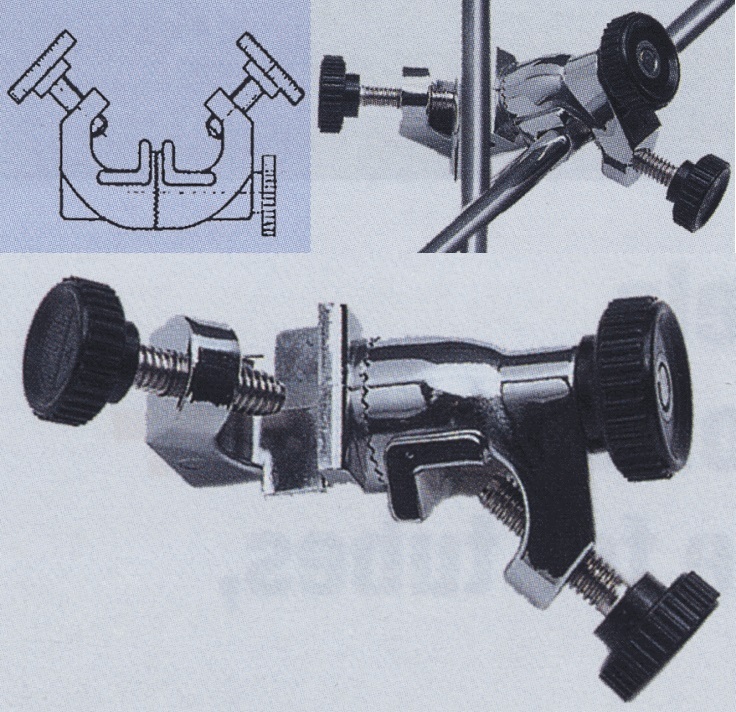 7000181 Bosshead Duplex with Double Burette clamp, self adjusting clamp for two burettes with central bosshead screw. 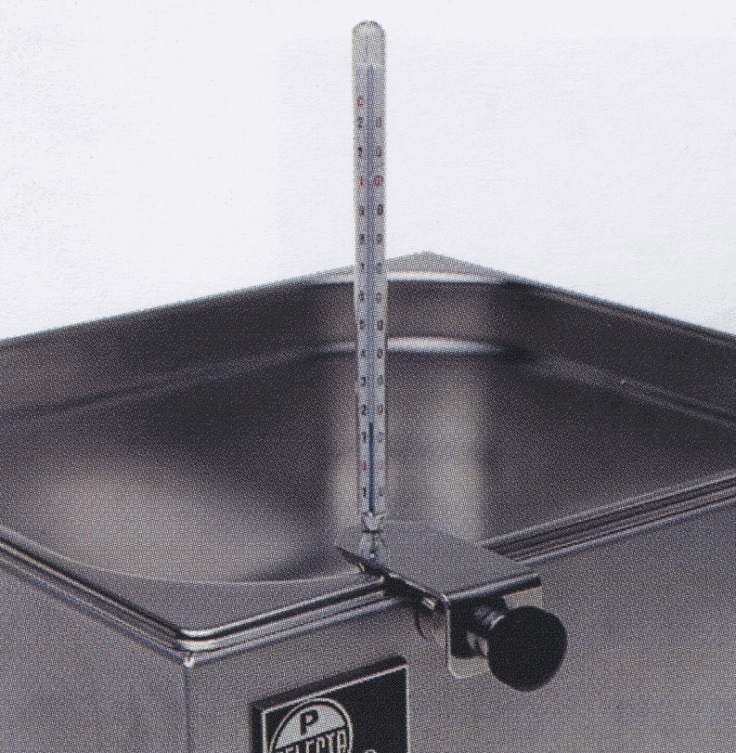 Made of chrome plated metal with PVC coated jaws, 170 mm span, Allows complete visibility of burette scales while being held. 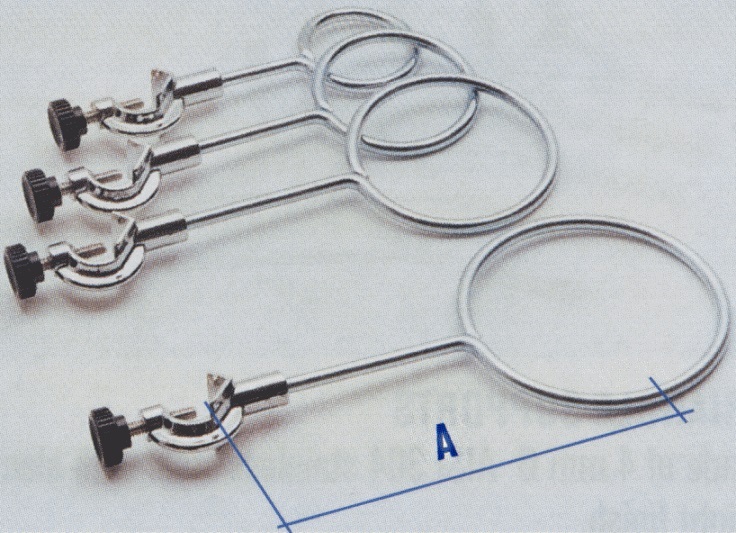 7005211 Bosshead Trips with Burette and Tube clamp, made of chrome plated metal for diameters from 4 to 20 mm, 70 mm length. 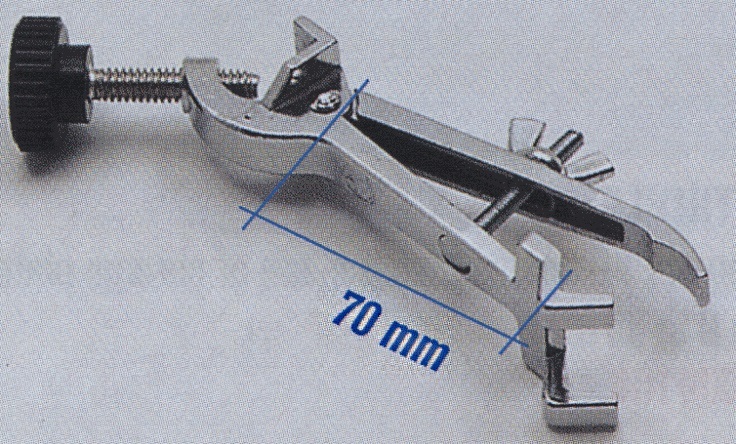 7000251 Bosshead clamp with Automatic Spring Loaded clamp for burettes and thermometers, made of chrome plated metal with spring clamp jaw accepting diameters from 4 to 20 mm, 70 mm length. 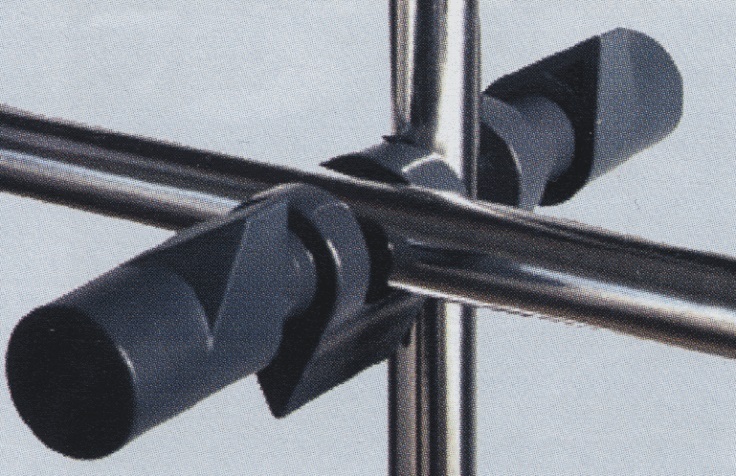 7000140 Bosshead clamp with Burette and Tube clamp, chrome plated and PVC coated double prong jaws, for rod diameters from 7 to 25 mm, 75 mm length. 7000141 Bosshead clamp for Condensers, swivel clamp with PVC coated double prong jaws, for rod diameters from 12 to 45 mm, 110 mm length. 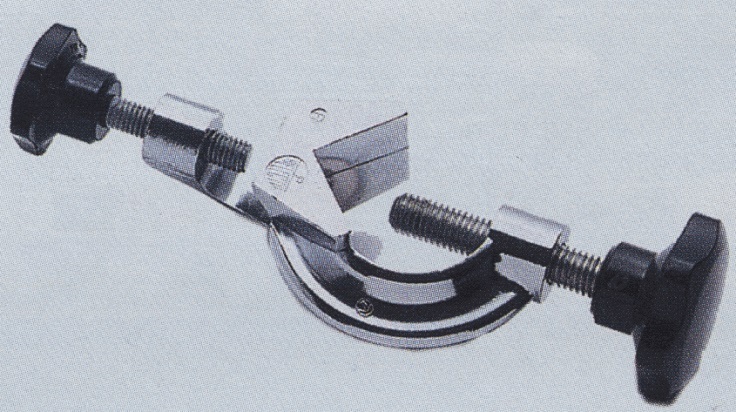 7000404 Bosshead Minimax clamp with universal swivel clamp, for rod diameters to 80 mm, 110 mm length. 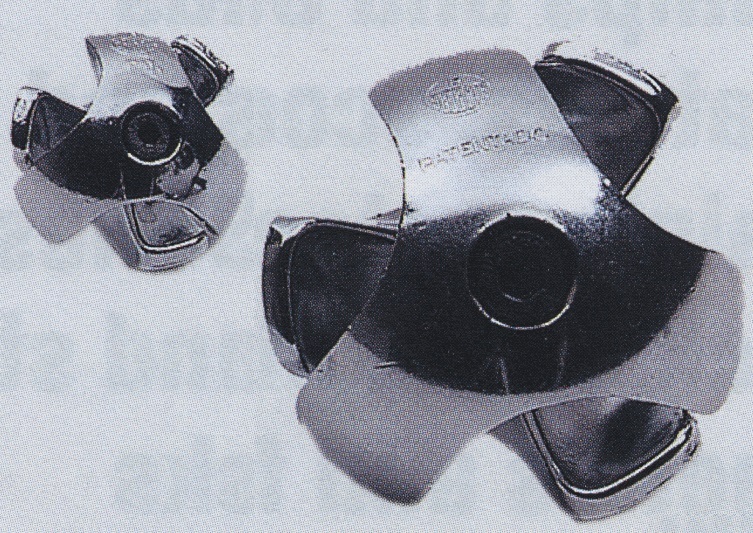 1000011 Bosshead P Type clamps, made of nickel alloy, for fixing perpendicular structures, Rod diameter 12 mm. 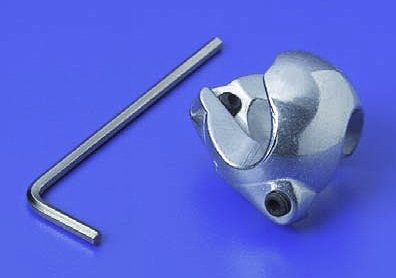 7008133 Bosshead Trevinge clamp, chrome plated Dural alloy. Because of its strength can be used for multilevel and 3 dimensional constructions. For rod diameters of 9 to 13 mm. 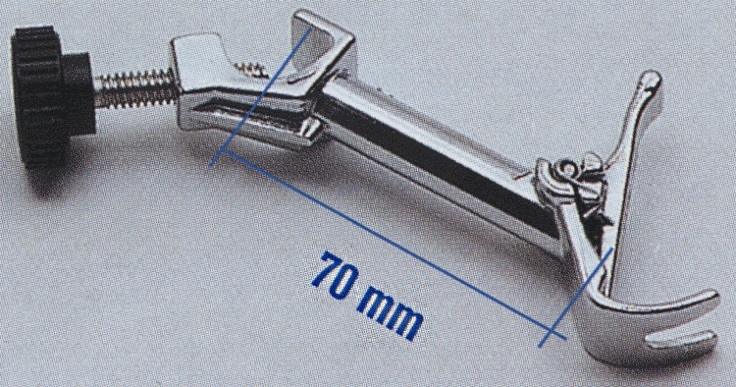 7008253 Bosshead Trevinge clamp, chrome plated Dural alloy. 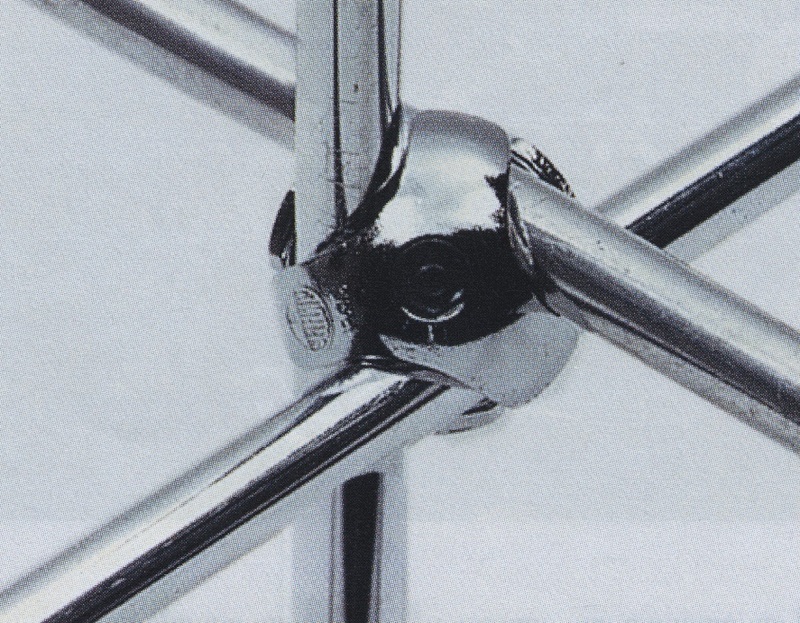 Because of its strength can be used for multilevel and 3 dimensional constructions. For rod diameters of 19 to 25 mm. 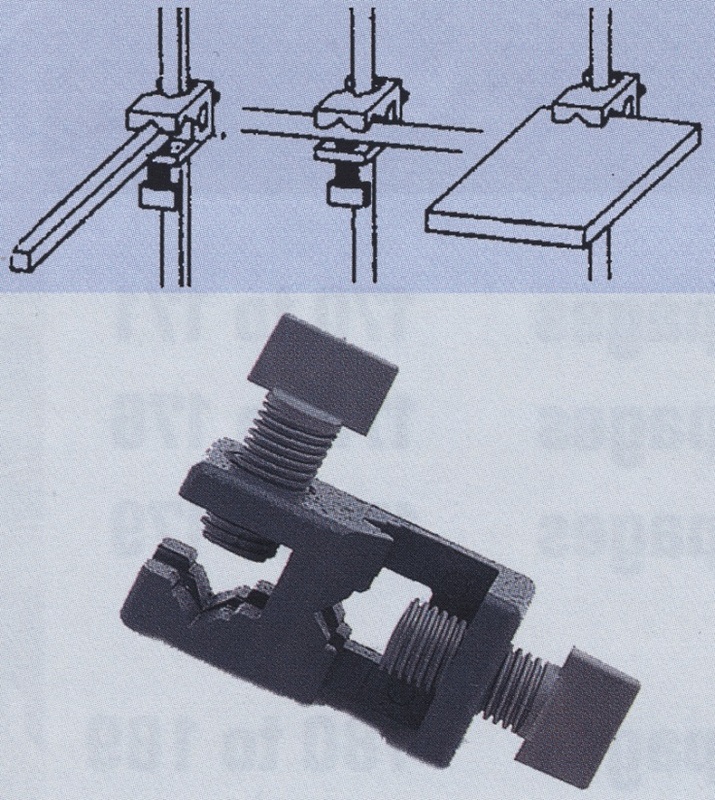 1394855 Bosshead Pass Benchclamp, original Phywe, Clamps to the bench while holding rods with diameters from 4 to 12 mm. Bench top width up to 40 mm. 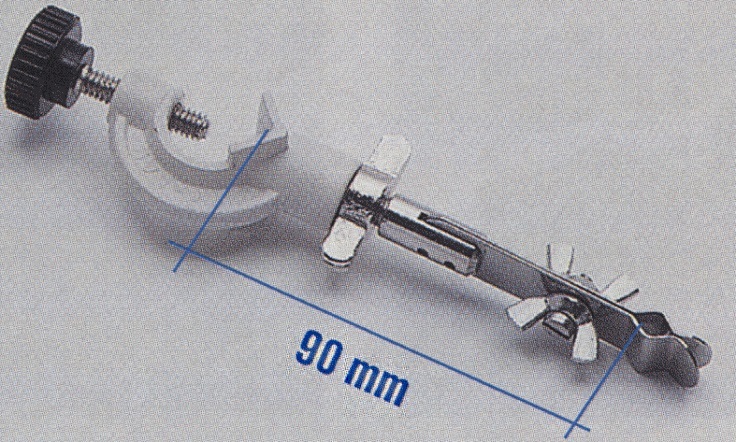 6000879 Bosshead, chromeplated clamp, with circular support platform to support flat bottom vessels and instruments. 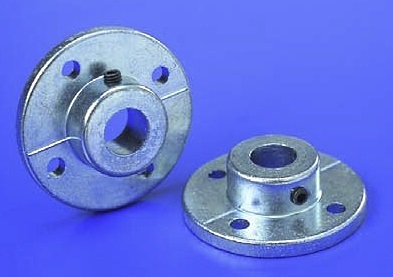 Plate diameter 80 mm, length from clamped support rod to center of platform 85 mm. 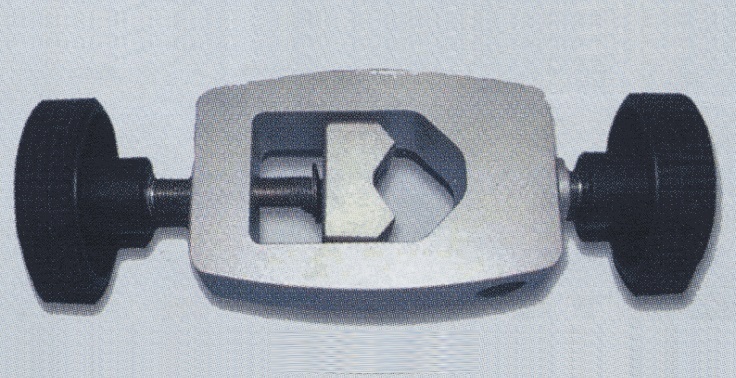 6000880 Bosshead, chromeplated clamp, with circular support platform to support flat bottom vessels and instruments. 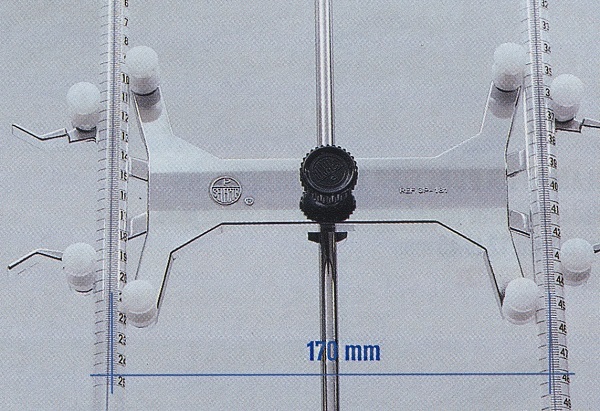 Plate diameter 150 mm, length from clamped support rod to center of platform 170 mm. 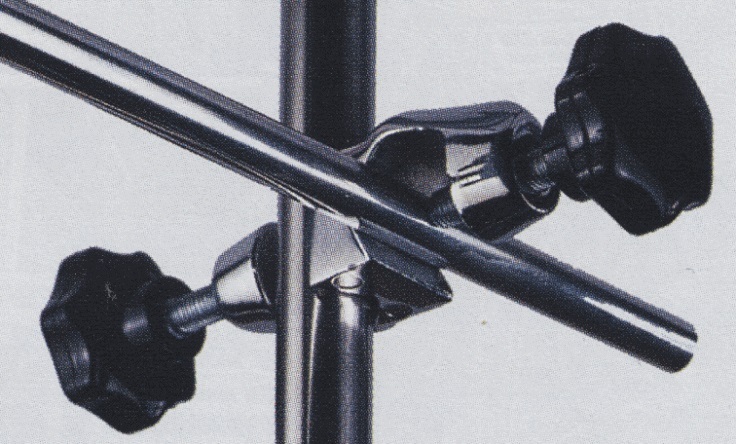 7000506 Bosshead clamp, with open ring support made of galvanized metal. 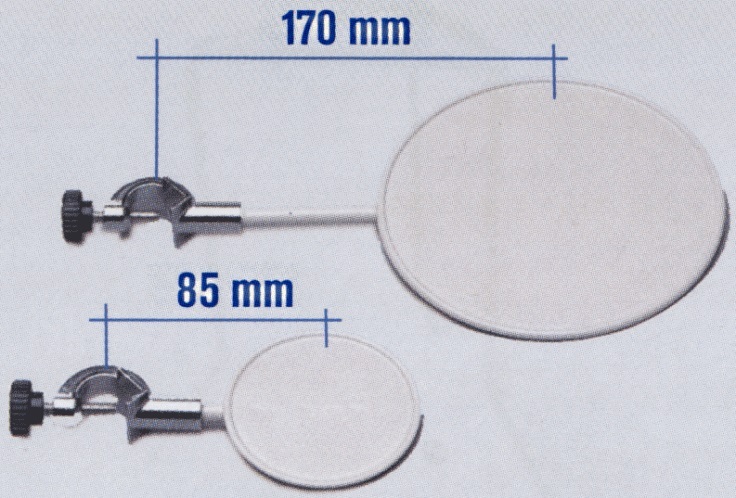 Ring diameter 60 mm, usable length A (from clamped support rod to center of ring) 100 mm. 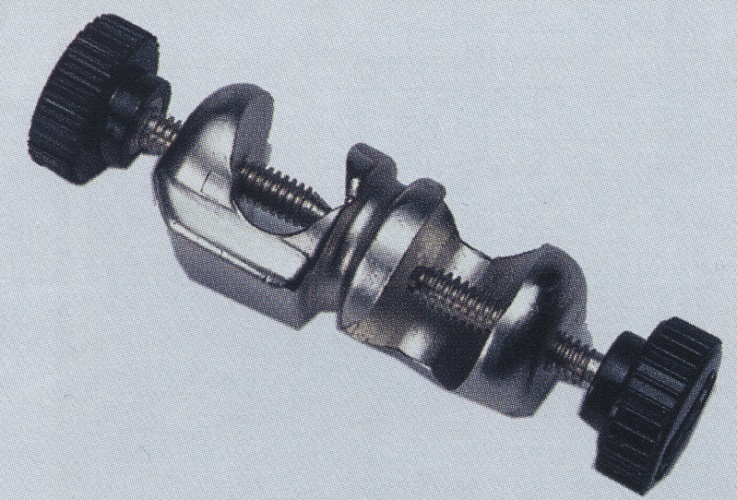 7000536 Bosshead clamp, with closed ring support made of galvanized metal. Ring diameter 60 mm, usable length A (from clamped support rod to center of ring) 100 mm.